Ukrainian Bar Association in liaison with the Ukrainian chapter of the global anti-corruption network Transparency International and the High Qualification Commission of Judges of Ukraine encourage attorneys, journalists and representatives of public authorities to attend an expert discussion regarding the competition for positions of judges in the High Anti-Corruption Court. street, office 2, conference hall of Ukrainian Bar Association. An efficiently operating independent judicial system is a mandatory element of any democratic state where the rule of law prevails. In Ukraine during the recent years, a large number of systemic reforms have been carried out, including the judicial branch of the government. Nevertheless, success of the whole process depends on the ability of the judicial system to operate efficiently and independently avoiding any third party influence. These days, a new judicial institution which is destined to restore confidence in judicial authorities, the High Anti-Corruption Court, is being established. Formation of judiciary should be only based on independence and professionalism. – What are the peculiarities of the competitive procedure of selection of judges? – How will the competition itself be held? – Will there be public monitoring of the process? If you have any questions concerning the event or wish to obtain journalist accreditation, please call the Secretariat of the Ukrainian Bar Association at 044 492 88 48 or email them at branches@uba.ua. Point of contact – Kateryna Pyshchyk. 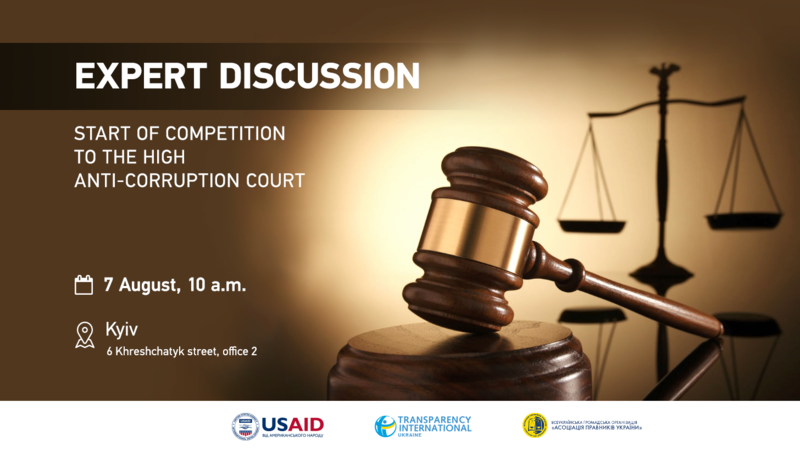 This event is conducted with the support of the American people provided through U.S. Agency for International Development (USAID) as a part of the project “Support to Anti-Corruption Champion Institutions Program. Any individual points of view expressed during the event and in any publication are the sole responsibility of the organizers, and do not necessarily reflect the views of USAID or the U.S. Government.